REX (​​@Kingrexpalace), real name is Nelson Lengaya. The 13 year old talented act, who previously dropped two singles in October and November, 2016, titled ‘Am Proud Of Naija’ and ‘Natural Things’ respectively. 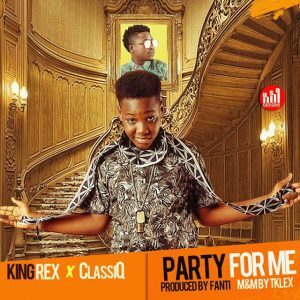 The young talent has come with a new hit Single with video, titled ‘Party For Me Ft. ClassiQ. He featured the Nigerian number one Northern wave of the moment ‘ClassiQ’ aka Arewa Mafia.